Students will paint several types of yarn with multiple colors of safe and easy-to-handle acid dyes. Students will learn some basics about the chemistry of dyeing and how different types of fibers accept dyes. A basic discussion of the color wheel will be used to help the student create vibrant one-of-a kind handpainted yarns. Several techniques to apply dyes will be demonstrated to create various effects. 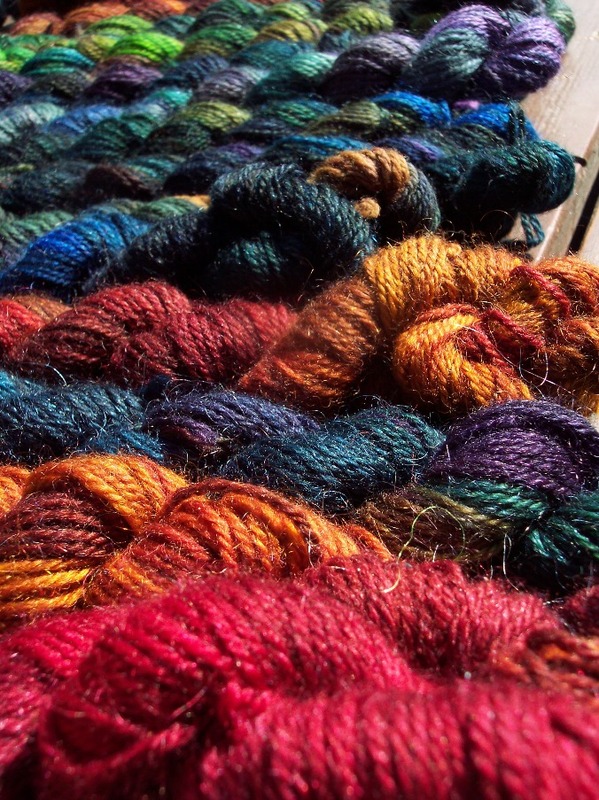 Students will be provided with three skeins of yarn and will be shown how to blend and apply dyes to create their own fiber masterpieces! Supplies: Wear clothes and shoes that you don’t mind getting dirty with dye – otherwise, all you need is your creativity! Kit cost $45 – to be paid to the instructor on the day of class. Kit will include dye solutions, three skeins of yarn to dye, all with a different fiber content. Fibers may include wool, silk, alpaca, and mohair. Dye solutions and chemicals to pre-treat dyes and dye applicators for the various techniques will be included. Safety supplies and gloves will be provided. Cyndi Fink has a B. S. in Chemistry and spent several years working in industrial dye labs for both paper and plastic. In addition, Cyndi is a long-time fiber enthusiast and was crafting probably before she could walk. Taught by both her grandmothers to knit and crochet, she’s been playing with fibers for most of her life and is an avid knitter and spinner. Because of her chemistry background, dyeing has always been a fascinating topic, with a specific interest in dyeing with natural plant dyes, especially indigo. 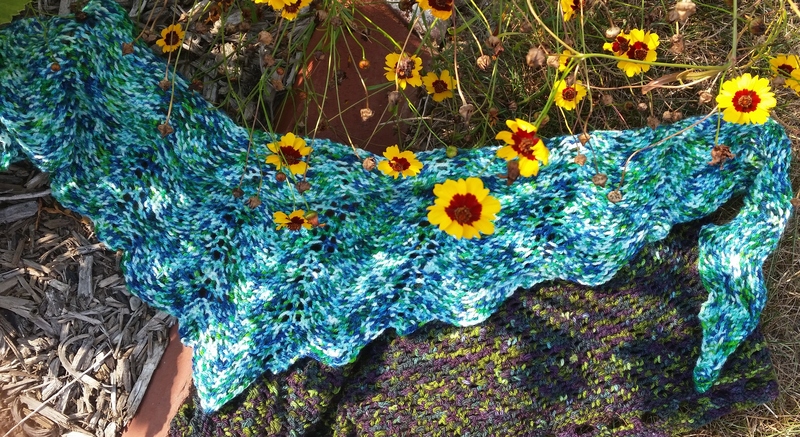 She’s attended and taught several classes on basic dyeing and natural plant dyes. With a M. S. in Plant Ecology, Cyndi has been teaching various public programs at Phipps Conservatory for 15 years, and also provides programs to local and regional garden clubs on various plant-related topics, including dyeing, knitting with natural plant fibers and embroidery. Cyndi is employed as a Hazardous Materials Transport Manager at Lanxess Corporation, a global chemical company, with dreams of someday touring fiber festivals with her own line of natually-dyed fibers. To inquire about or register for classes, send an email to cosymakes@gmail.com. Some classes have a material fee to be paid to the instructor at the time of the class.